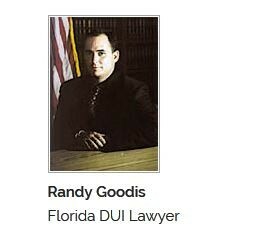 Home > lawyers > Randy Goodies, P.A. Miami based long established professional DUI attorney providing DUI law representation representing clients from all over South Florida with a high success rate for a broad range of clients and cases of criminal defense. Randy Goodies, P.A. believes that getting a DUI doesn’t have to ruin the rest of your life and with the right representation you can soon get your driving license back and start getting on with your life again. Call Randy Goodies, P.A. today and ask about the free advice service as part of their free case evaluation services.